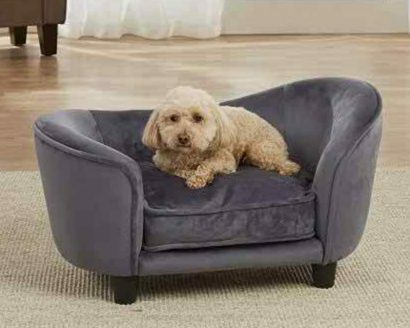 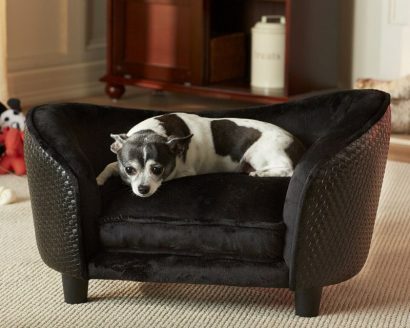 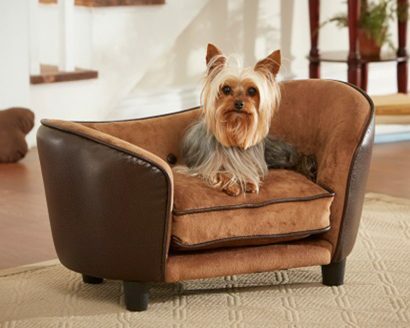 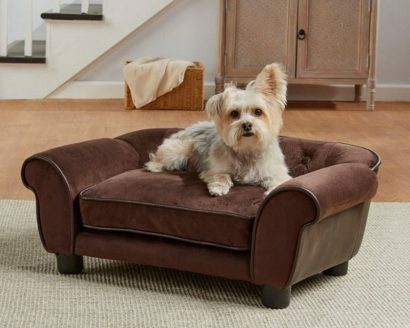 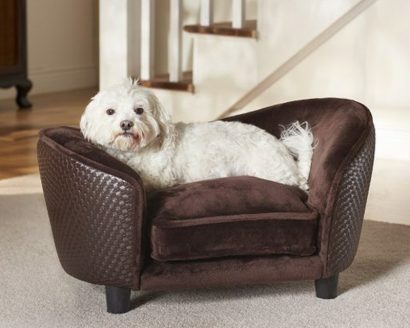 Meet Diva, a 10 pound Bijon, snuggling into this classic Ultra-Plush Snuggle Sofa. 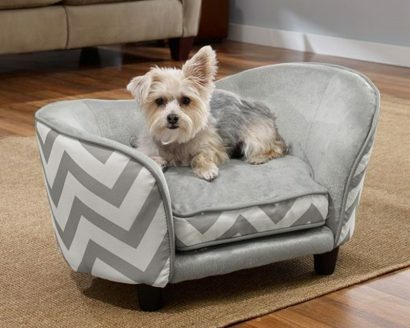 Its soft and luxurious cushion offers the coziest sleep for the little pet who loves to curl. 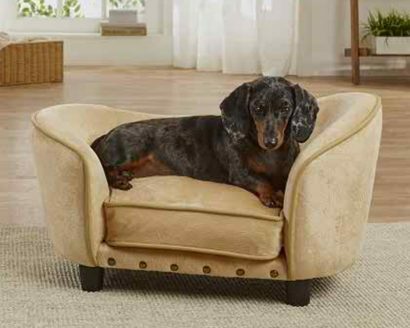 High quality furniture-grade construction and a beautifully textured faux-leather basketweave exterior, make this piece quite unique.